WASHINGTON — A former ambassador and congressman who sat on the 9/11 Commission is urging the release of 28 pages that have been kept secret. Tim Roehmer says the public should be allowed access to the material, which reportedly focuses on Saudi Arabia’s possible role in the Sept. 11 attacks that killed thousands. Appearing on MSNBC’s “Morning Joe” show Thursday, Roehmer says panel investigation “did not discover” any role by “senior, high-level” Saudi government officials. But he also says it’s possible that financing in support of the al-Qaida inspired attack came from Saudi sources. Four airplanes were hijacked and used in the attack on U.S. soil. 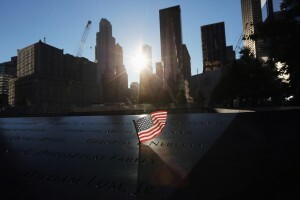 Two flew into the World Trade Center in New York, another struck the Pentagon in suburban Arlington, Virginia, and a fourth crashed in Shanksville, Pennsylvania.